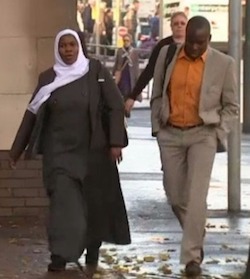 In a previous post I expressed the opinion that the erasure of Dr Hadiza Bawa-Garba (right) from the medical register was a miscarriage of justice and that a medical practitioners’ tribunal should not be expected to bow to a jury’s verdict when juries are prone to mistakes and prejudice and are not formed of experts. I joined a group of Dr Bawa-Garba’s supporters and have also witnessed some of the attitudes on Twitter of some of them. I must say at first that most of it is perfectly civil and I don’t blame them for concentrating on their colleague’s situation rather than the family’s grief or the fact that a boy died, any more than you can blame people who are opposed to the death penalty or in favour of prison reform or who seek to get an offender released after a certain time rather than throwing the key away for not always thinking about the victim or their family. However, I have come across some of them attacking the Adcock family themselves as well as other parent campaigners. This has to stop. One of the issues is the attitudes of Jack’s father, specifically, evidence of racist attitudes from the material he has shared on his Facebook page. I looked on his Facebook and the posts were not there, though I was told they must have been deleted and I saw a screenshot of one of them. Still, his prejudices are of no relevance because Jack Adcock was six years old and had a learning disability; he was not a teenager or adult capable of sharing his father’s prejudices. The racism that can be suspected may have been on the part of some of the jury (again, because they cannot be asked about their deliberations, we will never know) and the GMC itself; overseas medics and nurses are disproportionately represented among those struck off or referred for sanction. 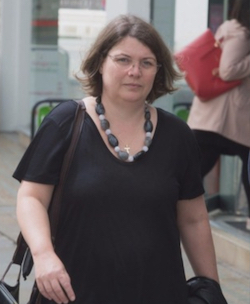 Some of them on Twitter have also been attacking other parent campaigners who opposed them with personal insults or slights to their intelligence; one example is Dr Sara Ryan, mother of Connor Sparrowhawk of “Justice for LB” fame, whom they have referred to as “Mildred” after the woman in the Three Billboards film (who put up the billboards to campaign for an investigation into a woman’s murder; why anyone would use that as an insult is beyond me) and one of them told her “you failed in science, now write fluff”. This is not really the way professionals running a serious campaign should speak to someone whose son died as a result of the incompetence of NHS management and more than one doctor and has spent years trying to bring those involved to account and has resisted attempts to blame nurses and support workers which the NHS trust involved has a record of doing in that and many other cases. This past week, the psychiatrist who had been the responsible clinician while Connor was in the STATT unit in Oxford where he died in July 2013 was suspended from the medical register in the UK for a year (as she has moved to Ireland since Connor’s death). For anyone not familiar with the case, Connor died in the bath from drowning as a result an epileptic seizure, after more than three months in the unit in which his epilepsy was not taken into account despite his mother warning them of it (leaving someone with epilepsy in the bath on their own is something anyone who works with people with epilepsy should know not to do, and people with epilepsy who do not have learning disabilities are warned not to bathe alone, if at all). The standard of care and treatment in the unit was judged so bad the following November that it was closed to new admissions and told to improve six specific areas; in the event, it closed altogether. The judgement gave as a “mitigating factor” the fact that Murphy was working in “the difficult world of adult learning difficulties”, a statement some commentators have taken as a suggestion that the lives of people with learning disabilities are worth less, or that such failures are only to be expected. In other cases where a person with a learning disability died and a terrible amount of suffering had been inflicted on them in the months or years leading up to that (Stephanie Bincliffe and Nico Reed come to mind), the managers and consultants responsible have not faced any sanction. The fact that those responsible for incompetent care and sometimes downright cruelty over a much longer period — seven years in the case of Stephanie Bincliffe — leading to the needless death of a patient still have their jobs and no criminal conviction reinforces my belief that Hadiza Bawa-Garba, who was responsible for Jack Adcock (and many others, over several wards, in the absence of three other doctors) for only a few hours, was made an example of because of her race, relatively junior position and overseas status. Even without the racial undertones, the case looks like a classic case of stereotyping inviduals for the failures of a whole organisation and much as this course of action may satisfy some people (Sharon Shoesmith springs to mind, and one may recall the savaging she got from the papers following her dismissal on TV), the injustice reeks too strongly for the decisions to stand for very long. Next story Woman’s Place: Is the tail wagging the dog?